We all have our own ideas of what our dream shower would look like. 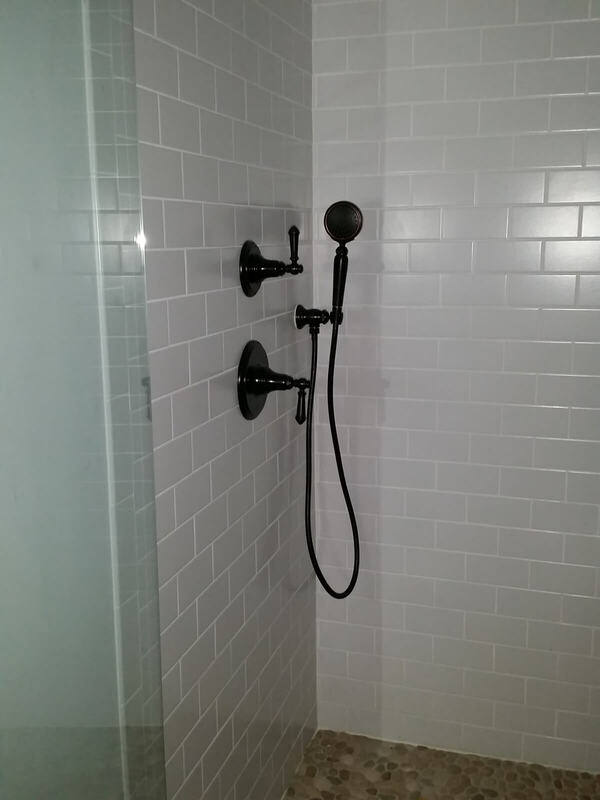 What we don’t think about are the details involved in meeting all of the requirements necessary for our dream shower to function properly, which is why it’s best to work with a professional shower remodeling company. For example, the right number of shower heads for your specific space, the size of the valves needed to produce the required level of water pressure. The list goes on when it comes to bringing your custom shower design to life. Additionally, the size of the existing plumbing pipes running your water supply to your bathroom is mission critical to the successful completion of your custom shower remodel. On average each shower head will put out approximately 2.5 gallons of water a minute, so when you multiply that by your dream of having a full range of body spray nozzles and a rainfall shower head you will have about 10 to 12 gallons of water being sprayed per minute. If your plumbing pipes are currently only 1/2 inch piping they will likely not be able to support the massive flow of water and will need to be changed to 3/4 inch piping. Let the licensed professionals at Royalty plumbing take care of your custom shower remodeling for you. Just let us know what you want and we will make it happen.